Is Scorpion Pest Control Safe for Kids & Pets? Responsible Pest Controls products and application methods are child and pet friendly. Low-impact scorpion pest control treatments are done responsibly by highly trained & certified specialists. Ultimately, nothing’s more important to us than Your family & pets well-being! 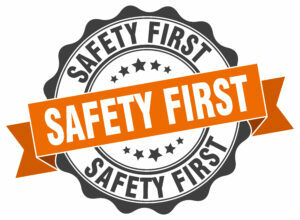 Responsible Pest Control is selective with products, and have tested them in the field and the office for safety. We just ask that they remain off scorpion pest control treatments until it dries. We service Chandler and the entire valley! At Responsible Pest Control we make a special effort in choosing products and application methods that are friendly to your children and pets. Your family’s healthy environment is our top priority at Responsible Pest Control. Our pest control Pros use RESPONSIBLE methods for the safety of you, your children, and your pets! We work highly trained techs who effectively treat using targeted applications treating where scorpions & pests will make contact – not where you normally contact. Products that kill scorpions on contact are in the Pyrethrin family, and Responsible Pest Control uses the best professional scorpion control products on the market. Although Pyrethrins & Pyrethroids come from (or are copied from) natural flowers, professional grade scorpion pest control products are concentrated and should only be applied with responsible methods by professionals. Use of the environment being treated for scorpion pest control is always considered before professional application. 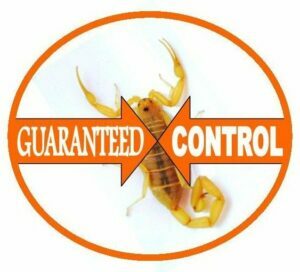 Scorpion Pest Control treatments are CUSTOMIZED specifically to you and your families (or pets) needs. Chicken yards, Tortoise yards, pet bedding areas, vegetable gardens, and other sensitive areas are carefully evaluated before any treatment to ensure responsible application methods that kill scorpions, and protect your healthy environment. Providing powerful scorpion pest control applied with responsible methods for the safety of your family and pets. Using precise and targeted applications treating scorpions (and other pests) where they live, without effecting you’re family and pets! Scorpions and other pests love CRACKS and CREVICES, CORNERS, baseboards, specific attic areas, wall voids, under cabinets, large rock beds, pest entry points, and concrete block wall fences. Responsible Pest Control kills scorpions living around your home or office, and PREVENTS future invasions with a protective barrier that kills scorpions applied on a monthly basis! Pyrethrins, which we use, are actually the NATURAL compounds of African Chrysanthemum flowers. Pyrethrins work by affecting scorpions nervous systems, and kill SCORPIONS when scorpions they’re sprayed directly. Pyrethroids, which we also use, are man-made version of Pyrethrin BUT they actually continue killing scorpions (and other pests) after they’re dry and over a longer period of time. Pyrethroids continue working for about one month and provide ongoing scorpion control with regular monthly service! Providing Scorpion Pest Control in Mesa, Phoenix, Chandler, Glendale, Gilbert, Scottsdale, Queen Creek, Maricopa & ALL surrounding areas. Scorpion pest control is needed every year around my area. I love having professionals like you guys around to take care of us! Awesome, I used to use atomic pest control, but you guys seem a lot closer to where I live!